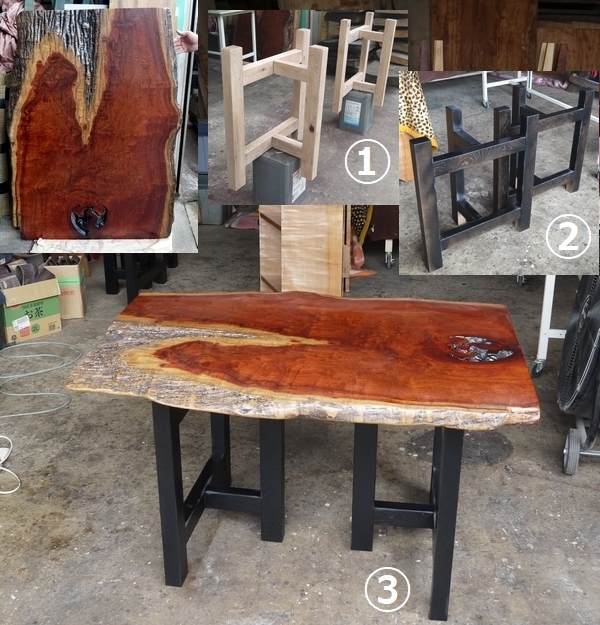 We painted legs for the Narra wood table top which I introduced on August 10. The color gradually become deeper, with a matte black finish. This color gives the table a sophisticated look. It is the perfect table to have in a study. We went to repair a 7 year old front door. It had black stains because of rain and dust. 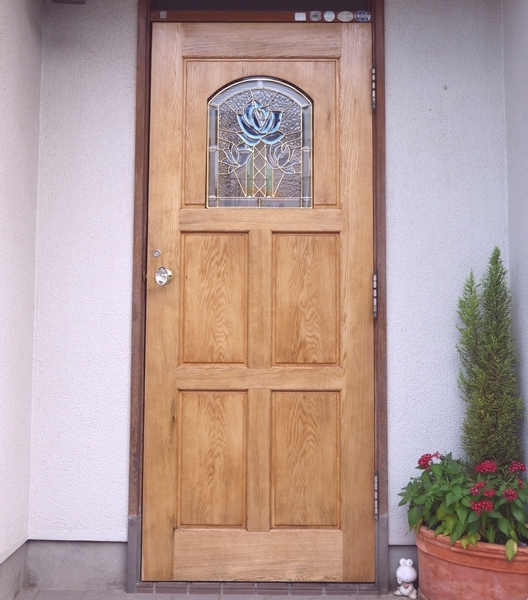 We sanded it down and repainted it carefully, and it was reborn into a beautiful door. The clearness of stained-glass matches the bright oak color very well. 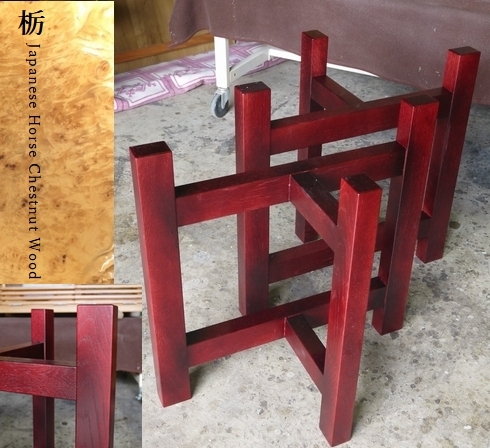 The table legs are painted in wine red. Because it is a transparent color, you can see the beautiful grain of the wood. It will be a gorgeous dining table.